It has been a little bit of a rough go this summer as far as reading goes. There's so much to analyze and research during the course of the average week that reading time seems to have evaporated for me...but then something miraculous happened: The 2018 Little League Season Ended. Time is still a delicacy, but let the reading begin! Until I have the kind of help that Oprah has for her book club, we are going to have to keep this lighthearted and informal. I am just going to let you know what I am currently reading, and what is next on the list. This way people at home are given sufficient time to find a used copy of a book, or download a kindle version instantly, or whatever. From there, all discussion will take place in the blog comment section, on discord, and also on the show. i.e. Just last night (7/6/18) I was asked a question about Hemingway's The Sun Also Rises and I think it turned out being a great addition to the broadcast. 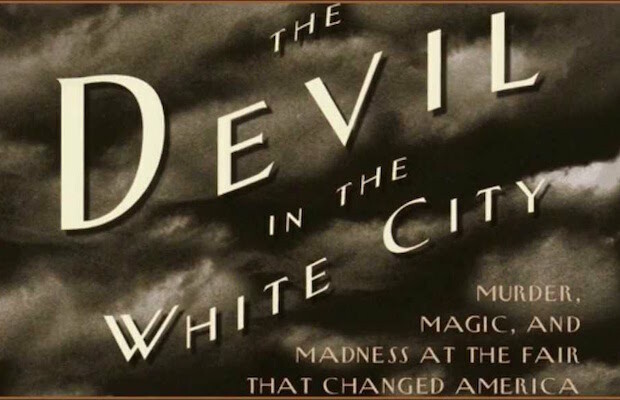 So, I JUST officially finished The Devil in The White City by Erik Larson, and it was fantastic. My summers are primarily filled up by reading History and Fall/Winter are seasons I like to mix in the fiction. I started reading Devil in December of 2017. Yes, I know; very slow. This is a fantastic mix of both a narrative and history, though. A great glimpse into America in the late 19th Century, still looking to establish its place in the world culturally, architecturally, and economically. Here you have the city of Chicago —always playing second fiddle to New York— with an enormous opportunity to best the World's Fair in Paris by pulling together the greatest engineers, architects, landscapers, inventors, and showmen that Post-Civil War America had to offer. The book also runs parallel to the insidious plotting of one H.H. Holmes, the young nation's most infamous serial killer. Holmes built his World's Fair Hotel just in time for approximately 27-Million people to make their way to the city of Chicago to experience the Exposition. Every page of this book is filled with great pieces of history. It's like a Bar Trivia study sheet. Next up for me is finishing Mark Booth's The Secret History of the World. I am about 94-pages in so it should take me next week to get through it. By middle of next week I will be posting where I am going next.